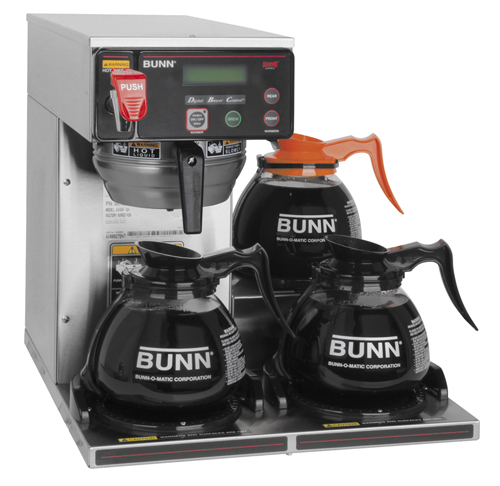 Bunn’s latest addition to their drip coffee line-up incorporates 2 additional technologies – plus a not-so-old-one – that may warrant some explaining. of water pressure and temperature. The Axiom models were also the first Bunn models with automatic warmer shut-off, which prohibits burned coffee and eliminates the problem of having warmers left on overnight. The first of the new technologies is the BrewWise technology, which has been around a while but is new to Bunn’s drip coffee brewers. brewer and a Bunn BrewWise grinder. When the Smart Funnel is placed under a grinder, the Smart Hopper on the grinder will tell the grinder what coffee is in the hopper and how to grind it, and then the Smart Funnel will tell the brewer how to brew the coffee for optimal flavor and extraction. 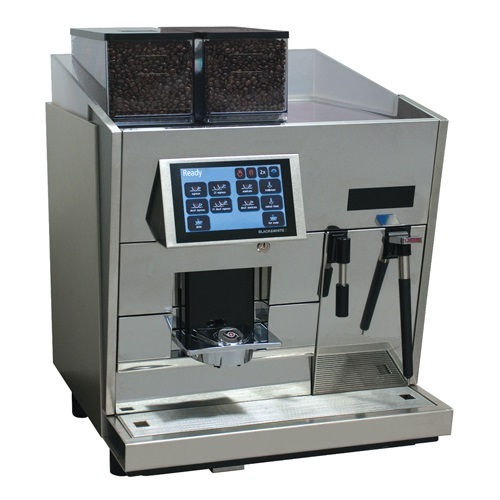 The technology is most vital for venues such as coffee shops where numerous varieties and roasts of coffee are ground, brewed, and served. the operator that the coffee needs to be thrown out and re-brewed. Additionally, the warmers will automatically turn on and off depending on if a decanter is on the warmer. For the RFID to work, the brewers must use special RFID glass carafes or RFID thermal carafes, which are sold separately. cord with a matching 3-prong plug and outlet. 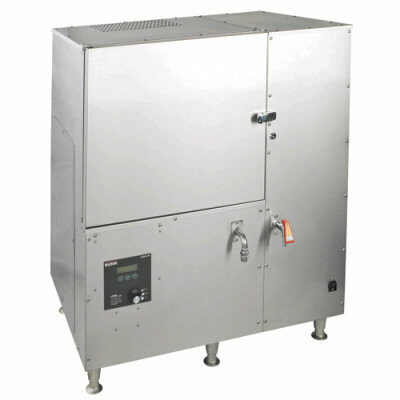 • The brewer will brew 4.5 gallons of coffee/hour at 120V or 7.5 gallons/hour at 240V. • Both housing and funnel are constructed from attractive and sturdy stainless steel. • With 3 lower warmers for easy access to coffee pots. 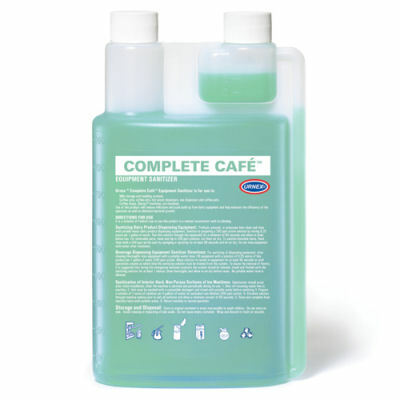 • A hot water faucet is included for brewing tea and hot cocoa. Electrical: Either 120 volt, 15 amp. – requires 2-wires plus ground service rated 120V, single phase, 60 Hz., or 120/208V or 120/240V – requires 3 wires plus ground service rated 120/208V or 120/240V, single phase, 60Hz. An internal terminal block is configured for connection to a 3-wire plus ground.